Universal Robina Corporation is one of the biggest food companies in the Philippines. One of the companies under its umbrella is the Commodity Foods Group, with the Sugar and Flour divisions responsible for the production of flour and sugar as well as sugar milling and refining services. The URC Flour Division is one of the top flour millers in the Philippines. With plants in Manila and in Davao, the division has a combined milling capacity of 1,250 MT per day. The state-of-the-art flourmills and blending facilities allow the division to manufacture customized products fit to the specific needs of its customers. URC Flour produces imported high quality flour which undergoes a standard milling process to ensure consistent quality. Other product offerings include by-products such as wheat germ, bran and pollard. 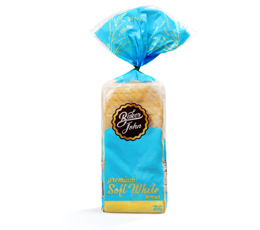 The division also supplies the local and export flour requirements of the URC Branded Consumer Food Group and URC international. It also toll manufactures pasta noodles for one of the leading fast food chains in the country. 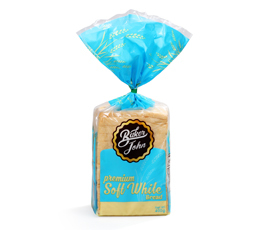 A classic soft white loaf bread with a creamy, milky taste. It is ideal for breakfast and merienda. 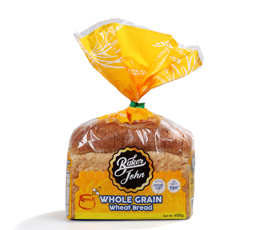 A fiber-rich moist wheat bread that is made from natural honey. 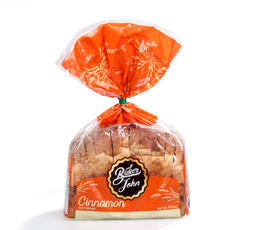 A raisin-loaded loaf bread with a flavorful burst of cinnamon, that can be enjoyed anytime of the day. 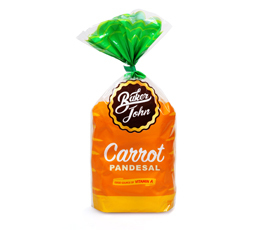 A one-of-a-kind sweet bun that is loaded with carrots bits.